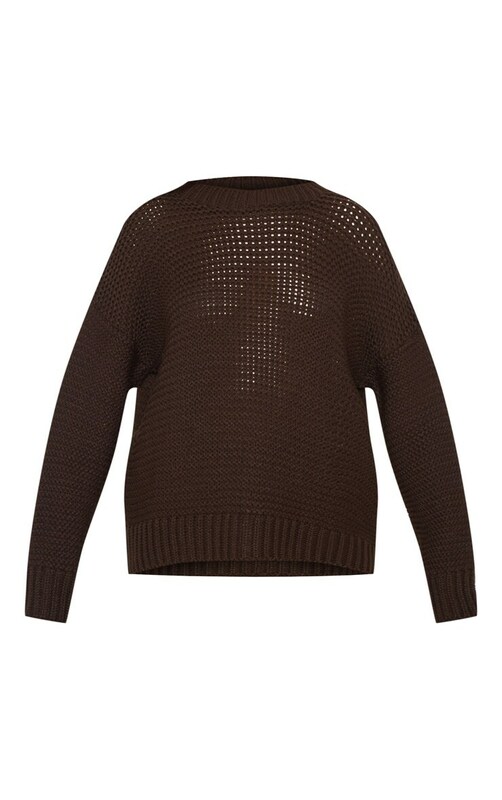 Knitwear is our favorite thing to wear during these colder seasons and we are loving this sweater. 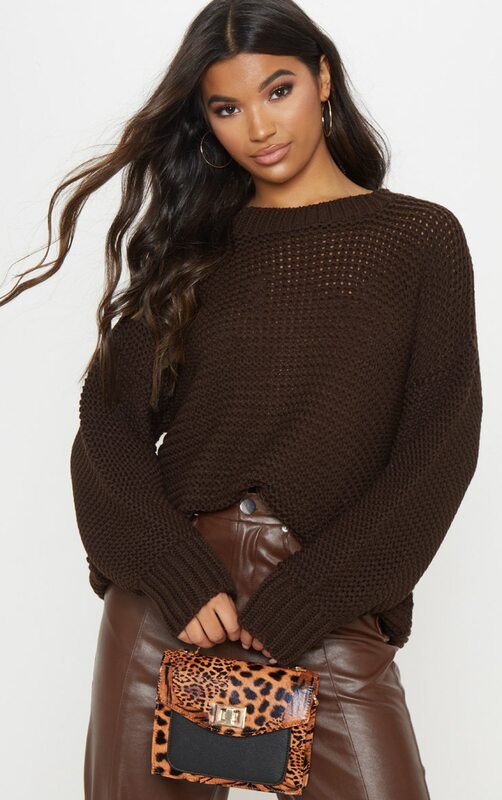 Featuring a chunky chocolate knit fabric with long sleeves and a loose fit, what's not to love? 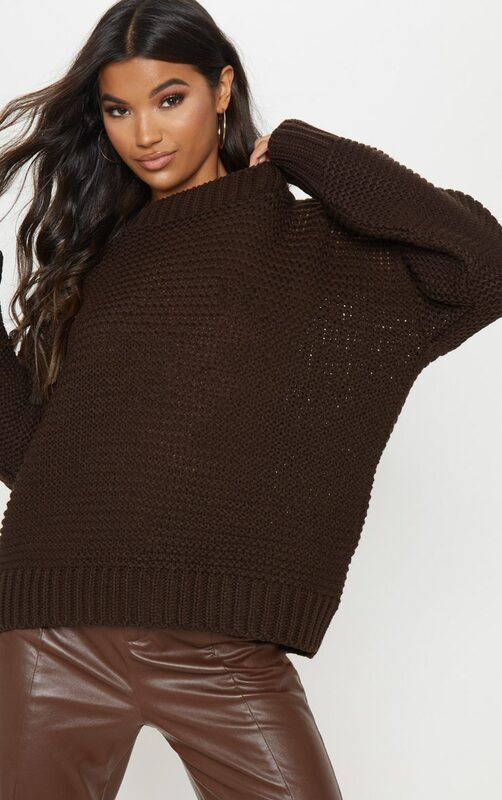 Style with chocolate brown leather pants and barely there heels for a stylish A/W look we're loving.